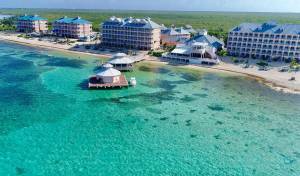 At Morritts Tortuga Cayman Islands, swim to the edge of infinity. Stay in comfort and luxury. Own a piece of perfection. The view from our infinity pool is the best on the island, and the Grand Resort is the best of Morritt's. Enjoy luxurious one-in a four-story concrete building offering spectacular ocean views, spacious interiors, fully appointed kitchens, upgraded amenities and beautiful floor plans. Imagine Yourself on a Tropical Island Surrounded by White Sandy Beaches, and Crystal Clear Waters.